GreenGenUK first discussed the idea of air source heating with our customer at the Cornwall Home and Lifestyle Show. Having recently moved into the property in South Cornwall, upgrading the heating system was part of a larger renovation. 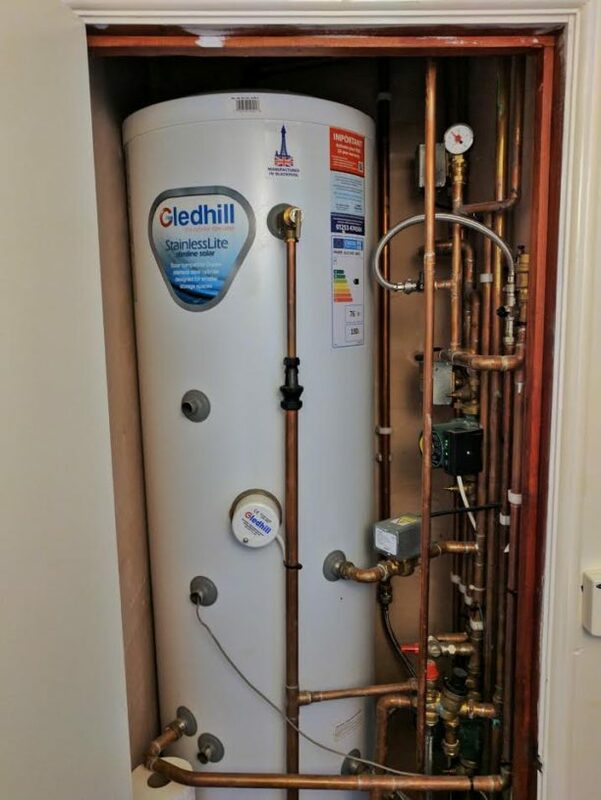 Previously warmed by night storage heaters, the customer desired a more modern and economical heating system. The nature of the traditional cottage lent itself perfectly to air source heating. Replacing night stores with a heat pump provides a significant saving on energy bills. Furthermore, maintaining internal temperature prevents sweating in the building and helps eliminate damp. Every property’s heating requirement is different. Because of this, GreenGen sizes all our renewable installations on an individual basis. Energy savings – firstly, a heat pump creates a significant fuel saving against most fossil fuel alternatives. The customer is predicted to save £1,400 a year on their heating bills. Renewable Heat Incentive – secondly, the RHI provides an incentive to homeowners choosing renewable heating. The RHI often results in a cost-neutral installation. As a result, our customer will earn £7,500 through the Renewable Heat Incentive. Find further information on the RHI here. Carbon saving – finally, replacing direct electric heating with an energy efficient air source heat pump reduces carbon emissions. 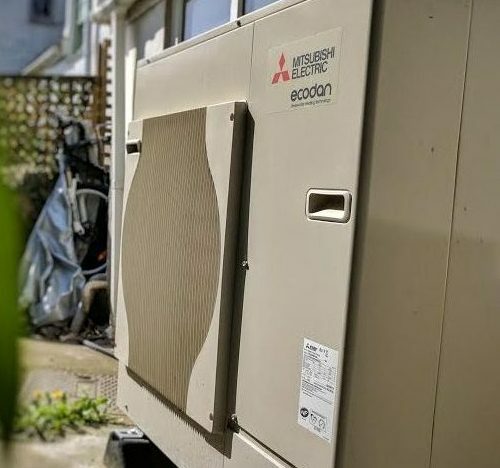 This Mitsubishi heat pump install provides a 4.3-tonne annual carbon saving. Payback period – thanks to the above benefits, air source heat pumps often pay for themselves. All things considered, this Mitsubishi air source heat pump is expected to repay itself within 4 years.